I’m very happy to been showing a short film as part of the Of the Sea exhibition at the Historic Dockyard Chatham in Kent. The show contains lens based media, sculpture and performance art responding to the ‘freedom of the seas’ principle, which covers powerful topics such as conflict, ecology, territory, migration, piracy, border disputes and the ebb and flow of oceans. 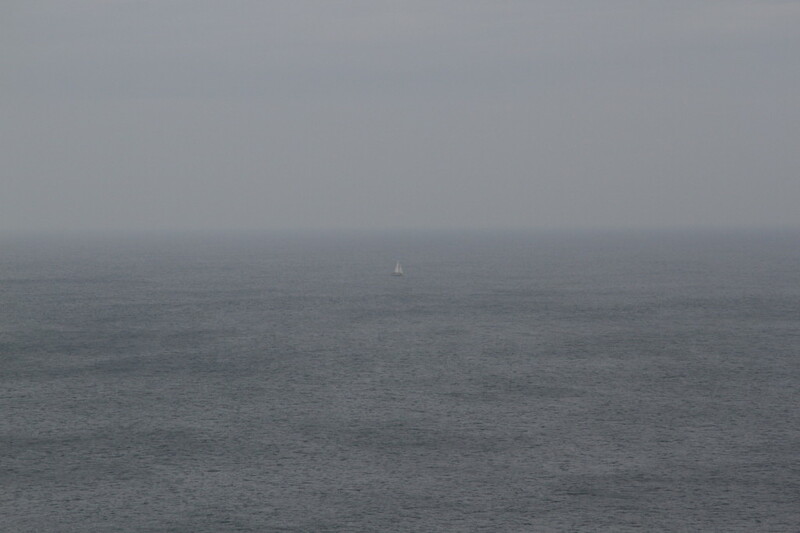 My film ‘The Crossing’ is taken from a body of work made during a residency on Cape Cornwall in March 2013. The residency explored the relationship between the land, sea and sky, specifically the transitions between those elements. In ‘The Crossing’ the sea, horizon and sky have merged into one powerful mass. The boat is almost lost, but not quite. Seemingly against the odds it makes headway. Quietly and steadily it traverses our field of vision, then starts all over again, it never tires. The film is about human endeavour; to battle with and harness the power of the sea. It slows the viewer down to the pace that the sea demands and requires he/she to see rather than look. Artists Aksel Haagensen, Anoushka Haviden, Bruce Asbestos , Chris Alton , Daniela Zahlner, David Morgan-Davies, Fiona Townend, George Eksts , Greta Hauer, Guo – Liang Tan , Helen Barff , Jane Pitt , Jessica Ackerman , Kathleen Herbert , Louise Long, Lucy Andrews , Matt Gee , Rachel Thomson , Steph Goodger , Stephanie Grainger , Tamara Van San , Tom Davies, Jessica Sarah Rinland , Hania Ferrel, Magnus Maarbjerg, Matthew Krishanu , Sidonie Robert and Sonia Levy. Writing about your own work can be a difficult thing to do, and conversations over the years with artist Paul Ashley Brown have confirmed my suspicions that someone with a more objective eye can often be better equipped to do so. I was pleased therefore when Paul agreed to write an essay based these conversations and his reading of my work. Here it is in full..
As we continue to rush headlong into the ever-changing landscape of the 21st Century,what is it that we want or need art to be for us? What do we, or should we, ask of art in a world where we are bombarded every second by images on all sides, an ever-increasing kaleidoscope of reconstructed ideas and thoughts demanding our time and energies? Personally, I always try to believe at best art and the artists that make it have a singular mission. Theirs is to show us the world anew, to transform our understanding and connection to it, and to each other, by reminding us of something familiar to our experience of it,by making it unfamiliar. In doing so,the space between these seemingly contradictory states resonate with us, throw us into a new space in which we can make connections between the experiences and worlds we may have known and lost, and, worlds we have yet to navigate, but the possibility of which may become open to us. These are the landscapes and spaces that good art and good artists take us to. 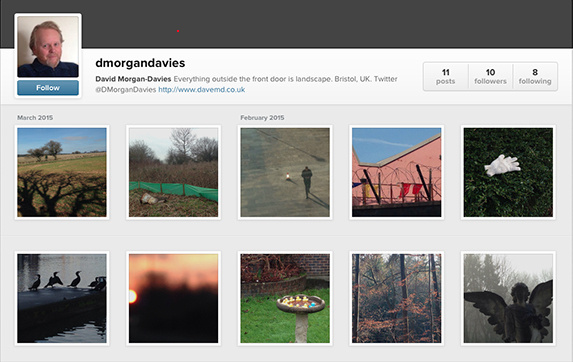 I think David Morgan-Davies’s work operates in this space; where the familiar and unfamiliar become one. In David’s abstract landscapes and pictures, we seem suddenly lost, haunted at first by something we feel we may know, yet are still uncertain of. 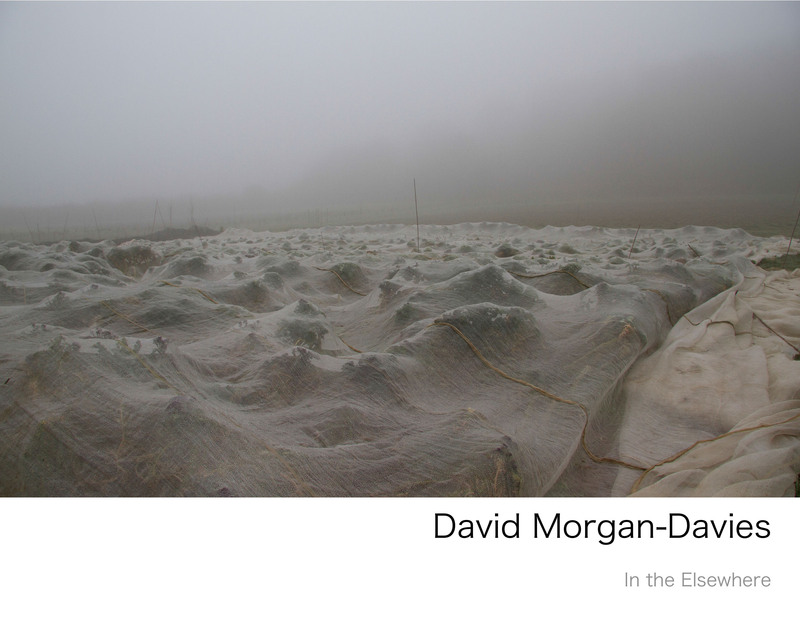 We’re searching for something within the space we find ourselves occupying, the image David has created. A fragment of recognition, a shard of memory lost, a mood, a time and place, something there in our minds and heart. Within these moments of contemplation, within his pictures,there’s a certain stillness, allowing our thoughts to move and operate in a different time and space, detached from our normal surroundings, from the world outside the picture. Good art does this. It allows us to reconnect with a stillness within ourselves we need, in order to see and think clearly. This is the feeling I have when I look at David’s art. I don’t think of David’s pictures as “landscape photography” particularly, even though at first sight, it seems that’s what they are. After all, certain elements often appear within them that may lead you to assume as such. There’s a sky, horizon line, trees, clouds, shafts of light, mountains in the background maybe. These seem surely straightforward vistas of place and time, captured in a moment. What we’d hope to find in a landscape photograph. But on closer inspection (or perhaps, specifically, on closer introspection), something else is suddenly going on, which quietly reveals itself to us (albeit, not entirely). We are still looking, still searching into the space, for an elusive key, a core secret or knowledge. It is not unlike the effect of Mark Rothko’s blurry, muffled fields of colour, a physical object we respond to in an almost ethereal state, caught in a different realm of the sense and our understanding of the world, an interior mystery inherent in us we know yet rarely dwell on, because we rarely inhabit such spaces, or allow ourselves to do so. In this way I’d argue David’s work has a certain affinity with the Abstract Expressionist painter. An early series of seascapes (Heavy Weather) are akin to Rothko’s Seagram paintings, in their monochromatic fields of sky and sea, barely divided by light or colour, the horizon line a barely recognisable zone between the two. We know exactly what we are looking at, but in it’s execution we are thinking of something else, and our response is altered, as is it’s meaning. Like Rothko, it’s ghostly and haunting, a shadow world or phantasm, where the landscape we occupy is one of memory, interior thought, separate and adrift in time and space. These early images are spectral, taking us into an “elsewhere”, both familiar and uncertain, where the natural landscape we assume we are experiencing has become something other, loaded with memory, nostalgia, even a certain unease because there is little within the picture overtly concrete to grasp. Similarly, another series of images (In Ore) take this further. This time there seem more obvious elements to grasp within the images, with a specific juxtaposition occurring. Here, the monochromatic landscapes are shifted by sudden elements of colour appearing. A bright red hut sits surrounded by a slate grey landscape of stone. A man-made mound of black earth is pockmarked by flashes of green moss, while in the background a timeless russet landscape of trees and river look on, the merest blur of a pinkish cloud fades out of the frame. Triangular piles of brown earth mirror the snow capped mountains in the distance. A pylon sits central and behind an arrangement of large boulders. Within this group of pictures (A Built Environment) there is a sense of a recreation of landscape from something known and lost, into something new and re-imagined. It’s as if an alien has been terraforming a new planet into an environment to be controlled,mastered, in the image of what’s already there. We are witness to a man-made transformation of the natural world as something new and adapted to our purpose, devoid of danger and uncertainty, yet still familiar. David does this by taking the image and then shifting the focus of elements by creating geometrical patterns and layers to emphasise specific areas of the picture. 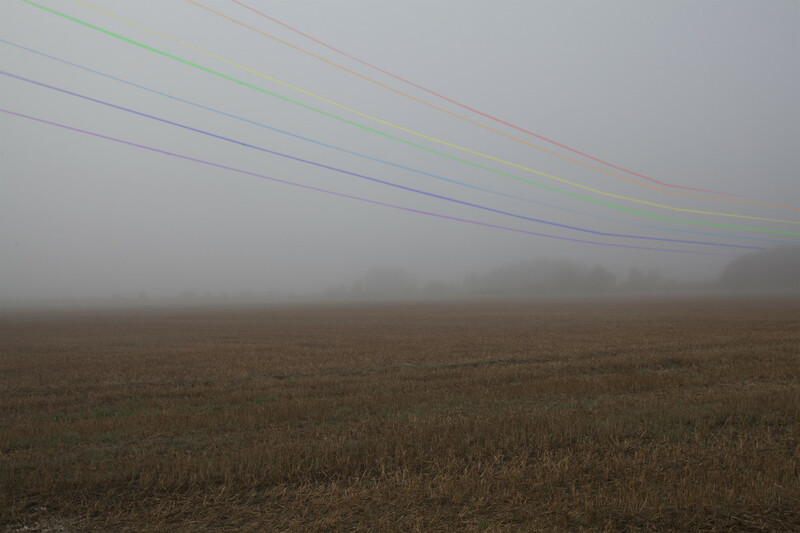 This has a dislocating effect, initially throwing us off balance visually, requiring a readjustment where we are no longer perceiving the image solely as a “landscape photo”. It is being reassessed and reconstructed, as is our response to the elements within it. They seem now to be existing in different shifts of time, very subtly, and as viewers we are jarred and caught unawares, are displaced within this landscape. In a way, they remind me of Hockney’s photo collages, sharing perhaps a concern and response to how the eyes take in and record information, and in doing so shift through time, space and memory, and how we occupy landscape and perceive it. This reconstruction and redefining of the photograph to the picture becomes more evident in David’s recent work. A small series of image collages (Life before colour) represent a personal response to a shared family history, and the relationship of a grandfather, father and son. In the main picture, glowing blooms of colour are framed between the rusted and weathered doors of a greenhouse, their panes appearing like a series of monotoned abstract painted panels left out in the rain, distressed by time and memory. The flowering beauty of the past is a bright and blooming optimism, pushing through the grey and uncertain future. It is a collage of two photographs, one from the present, one from the past, where the nostalgic and pessimistic collide and connect, images of the same place, caught in different times, a shared and unified history of the then and now, which asks us questions of our own relationship to the past and present, as well as the emotional and historical connections between people and place. This connection to place, both as landscape and picture, is taken further into uncharted artistic territory by David, with a new group of pictures of New York. 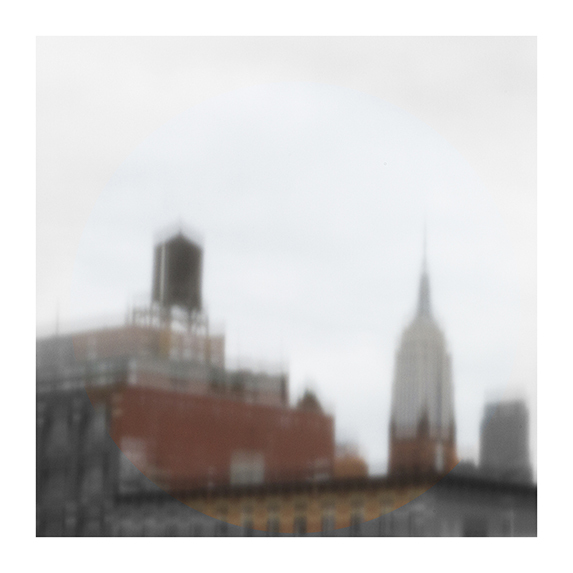 In these images David takes as a starting point the use of a pinhole camera for a group of photos of buildings and skylines of the city.The randomness and chance inherent in the process of using the pinhole allow for a lack of control over the focus and elements of the image, a chasm between what the photographer is seeing, and what the camera actually captures.This action in itself dictates a certain initial abstraction through lack of specific choice. 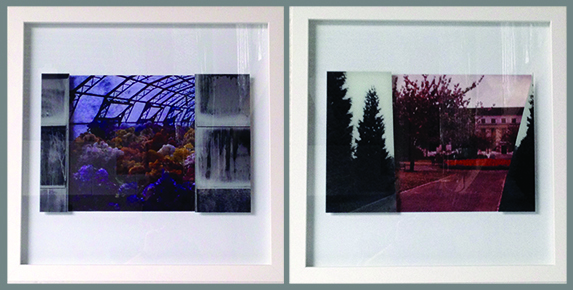 Returning to the studio, the image is then reconsidered and re-viewed, and David then through the use of a layering of graphic elements, imposes a control over the initial “random” landscape, reemphasising areas of colour or tone very subtly, thus refocusing the eye into specific locations and areas of the image. In doing so, he forces us to look closer, look and look again, ask of ourselves what it is we are looking at, and why. To move us further into a place of abstraction, to a new space reconnecting us to the landscapes we inhabit. Here then, is where David Morgan-Davies is, asking both himself as artist, and us as viewer: ” Where are we ? And where next ?” Like all good art, it resonates within you. Allows you into a world where you can be contemplative and still, and to think about the world you know and yet don’t. To occupy that rare place, a zone of reflection where one can think and feel and wonder at the beauty and mystery inherent in the nature of art, and the world, and our place within both. I was first introduced to musician and producer Geraint Ffrancon by a mutual friend. Interestingly the three of us never met at the same time, so our first meeting had a bit of a blind date feel about it! We soon found we had a lot in common: both Welsh but living in Bristol, both studied an MA in Interactive Media at UWE, my first home was in Ystrad Mynach where Geraint’s dad was born and at some point we’ve had Hillman Imp cars to run around in! Geraint and I both left Wales at a young age. Visits ‘home’ tend to elicit a mixture of emotions; from happiness through melancholia to frustration. We are effectively outsiders in our own country. Because of once being a part of and at the same time completely apart from the historical, political and cultural changes that have affected Wales over the past few decades, we can offer an interesting perspective on not only Wales’s past but also it’s present and it’s future. 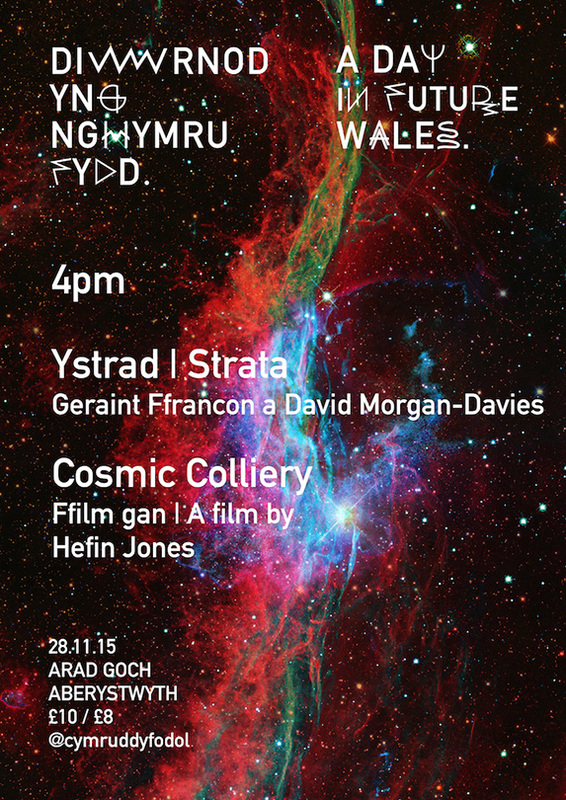 Ystrad|Strata aims therefore to dig into the different layers of what it is to be Welsh, and to look beyond the cliches into what Wales has been, and what it can be in the future. To document our own works that fit under the Ystrad|Strata banner and to talk about future collaborative projects please check our blog: Ystrad|Strata blog. I am very pleased to be showing two pieces of work from my new ‘Life Before Colour’ series at the first Plymouth Contemporary Open exhibition. As a starting point the Life Before Colour series uses my fathers and grandfathers colour slides of Cardiff from the 1950/60’s (Bute Park Nursery and Alexandra Gardens). The work reflects upon my own roots; photography as historical documents and cities as evolving landscapes. Playing with the perception that history is often seen in Black & White, the works juxtapose prints of my forefathers slides sitting behind my own black & white images printed directly onto glass. These physical printed layers create a subtle optical tension between old and new; both in terms of the images and technologies used to create them. The full list of artists featuring in the exhibition is as follows: Bram Thomas Arnold, ATOI (Amy Thomas and Oliver Irvine), Dan Beard, Harriet Bowman, Jennifer Boyd and Alice May Williams, Jessie Brennan, Bristol Diving School, Chloe Brooks, Michael Cox, Tim Foxon, Naomi Frears, Laura Gower, Jane Hayes Greenwood, Will Kendrick, Samuel Levack, Jennifer Lewandowski, Cathy Lomax, Mateusz Marek, Pilar Mata Dupont, David Morgan-Davies, Ailbhe Ni’ Bhriain, Steven Paige, Sarah Poots, Michael Porter, Ruaidhri Ryan, and Paul Vivian. After seven successful events in London the Other Art Fair is coming to Bristol. The fair’s ethos is to give undiscovered artists a platform from which to showcase and sell their work: to gallerists, curators, critics and collectors. This is music to my ears. 60 artists including myself have been selected to showcase their work at the Arnolfini Gallery by a committee including Helen Legg, director of Spike Island, Paul Hobson, director of Modern Art Oxford, Cherie Federico, director of Aesthetica Magazine and Bristol Street Artist Sickboy. The Other Art Fair will take over all three floors of the Arnolfini gallery during the weekend of 5-7 June 2015. I’ll be showing and selling my work at Stand No.1 on the ground floor. It’s nice to have my work featured in Bare Hill Publishing’s latest book ‘Landscape & Portrait #1’. This is the sixth book in their The State of Art, art book series and explores some of the more traditional subjects and techniques that artists are seeking to represent. The title alludes to the format of an image as well as the composition of the subject matter. The book includes the work of 41 Landscape & Portrait Artists, with 154 full colour pages, 209 illustrations including artist statements and biographies. 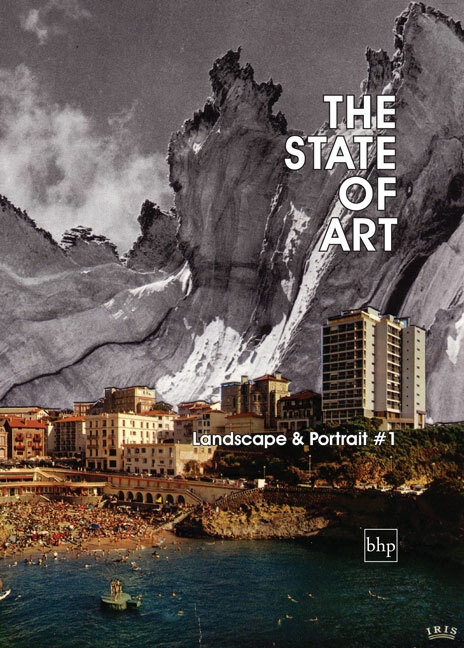 The State of Art – Landscape & Portrait #1 is available via Amazon, Waterstones and other online book retailers for £24.99. A 25% discount is available if bought direct from Barehill’s Bookshop.